Yesterday, millions of voters in Israel exercised their right to vote to shape Israel’s future, and today it appears that Benjamin Netanyahu will continue to serve as Israeli Prime Minister. Throughout the course of this election season, A Wider Bridge has been deeply troubled by several of the Prime Minister’s actions, such as building an alliance with Otzma Yehudit, a homophobic, racist and ultranationalist party, and openly calling for the annexation of the West Bank, which would undermine Israel’s democracy. We urge the next Prime Minister and the Coalition to defend and strengthen Israel’s future as a Jewish and democratic state by rejecting calls for annexation and committing to two states for two peoples. The work of A Wider Bridge is needed now more than ever. We remain committed in our efforts to advance LGBTQ rights in Israel, through our advocacy and grantmaking programs. 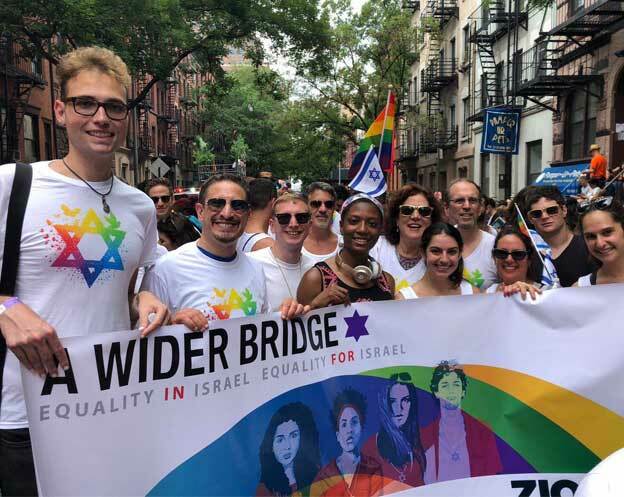 In July, we will award our second-annual AWB Impact Grants to LGBTQ organizations in Israel, helping to build capacity and amply activist voices on the ground. This includes our work to support LGBTQ families, transgender equality, LGBTQ refugees, and much, much more. And we will continue to educate American LGBTQ leaders through missions to Israel (including our upcoming Mission this June with 30 leaders), and to LGBTQ communities through local trainings and programming, building a movement of advocates supporting Israel’s LGBTQ community and standing up for her Jewish and democratic future. Together we will work together to continue to advance LGBTQ equality in Israel.